on tuesday this week, my first day back from the weekend trip where i already bought a pile of cd's, i passed by hmv megastore. i was in a musically receptive mood, which meant that i sampled new stuff at the listening boths, and walked out with some impulse purchases. the first thing i picked up was jónsi's solo release "go". from the samples i heard, it seems similar to his sigur rós material, but more whimsy. next, i got gorillaz's "plastic beach", the 'experience edition' that includes a 'making of' documentary dvd and online access to additional media. roxanne had recently blogged about them, and i liked what i heard. it's an interesting mix of sounds. i saw the new dillinger escape plan release "option paralysis" at the listening booth, and sampled a few tracks. i had an idea of what they sound like, from the show i saw. it's 'brutal' stuff, compared to what i am usually into. but what really surprised me was the lovely piano beginning of "widower". contrast that with the opening track "farewell, mona lisa". finally, i sampled melissa auf der maur's "out of our minds" at the listening booth as well. she's really good at rocking out. this was kind of a girls' trip, with tourist/art/entertainment activities. and of course, shopping. i had prepared a list of music shops in the greenwich/east village area, so i went there with gloria on saturday afternoon, with a couple of hours to spare before seeing a play that evening. first, there was disc-o-rama, on 8th street near 6th avenue. that place looked kind of sketch. their selection seemed to be more mainstream whatever, but i am sure that if i had the time to carefully browse, i would probably find some gems. but we were on a tight schedule, so we quickly headed for the next shop. while walking there, we passed by bleeker bob's records on 3rd street, which was not on my list, but we went in to take a look. mostly old/vintage vinyl. 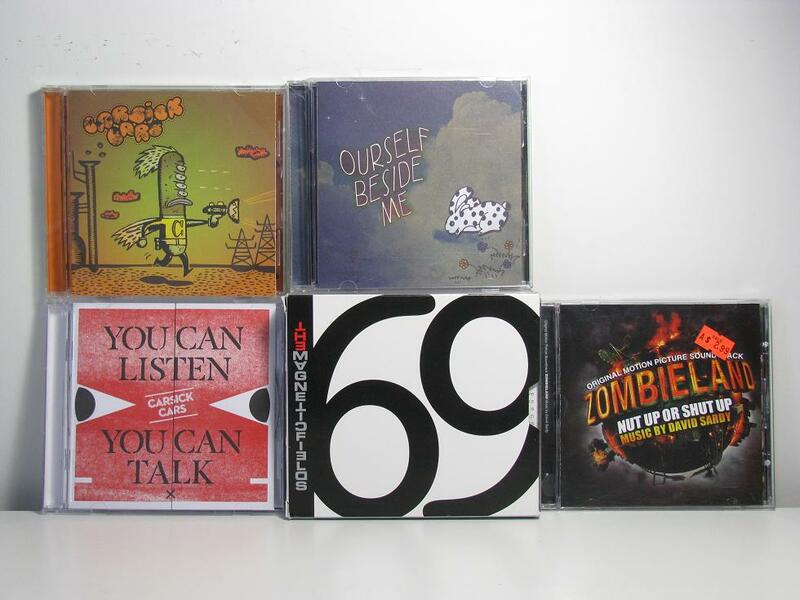 and i found some weirdass records, i must say. the cd section seemed promising, but i didn't have the time to browse much. next, it was generation records on thompson, south of 3rd street. oh wow, i felt like a kid in a candy store who wants to buy everything but only has $5 in her pocket. i spent some time in there, barely listening to gloria as i sporadically jumped from one section to another, frantically browsing. their selection was more rock/indie/punk/industrial and i found so much stuff i wanted. i had to limit myself to releases i can't find back home. first, i saw mono & world's end girlfriend's collaboration "palmless prayer / mass murder refrain". i don't remember ever seeing it in the montreal shops (if i did, i probably would have bought it already), so i grabbed that. 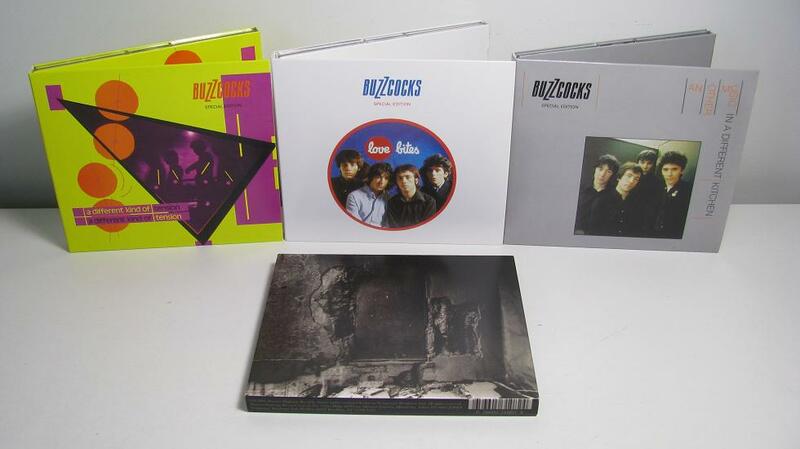 then, i came across the buzzcocks deluxe reissues: "another music in a different kitchen", "love bites", "a different kind of tension". when those were released earlier this year, i had planned on getting them. but at $26 each at hmv, i didn't. there at generation records, those releases were at $17 each; considering the exchange rate is almost one to one, with lower taxes in nyc, it was a really good deal. afterwards, we headed to other music on 4th street near lafayette. gloria and i split as she went to the strand bookstore. i had another 'squee' moment, since that shop carries mostly indie stuff, almost everything i wish i owned in my collection! the first thing i grabbed was the magnetic fields' "69 love songs", the box set. on a whim, i browsed the 'international' and more specifially, the 'asia' section. i couldn't believe it, i actually found two albums by carsick cars!!! oh wow, i had found out about this band about a year ago through the internet, when i was bored and googled for some beijing rock. at the time, i downloaded their self-titled debut, never thinking i would ever find a physical copy, at least not on this side of the world. 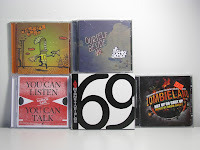 and there, at other music, was both their debut and sophomore release "you can listen, you can talk", for only $15 each, which is cheap considering these are imports. then, in the bargain section, i saw the zombieland soundtrack for only $3. i got it for my brother since he seemed to have liked the movie. at that price, i don't care if the soundtrack is crap. as i continued browsing, the clerk from the store saw my stack and chatted me up about carsick cars, saying she was seeing them in a few days in la. oh wow, what a random coincidence! it also turns out that she's their tour manager. then she went to the back and brought out some suggested listening from other bands of the beijing scene. in the end, i only selected ourself beside me's self-titled, since the clerk described them as an all-girl band who are 'rebels', so yeah, i kind of fell for that. the clerk also suggested snapline, which she described as similar to joy division, but they were unfortunately out. damn, i would have liked to get that. i also asked about p.k. 14, another beijing band i found through the internet. the shop was also out of that. anyways, i should look into mail ordering from them, if shipping isn't too pricey. for my final destination, i walked towards st. mark's place. but as i passed by cooper square, i smelled food, and i saw that there was a street market. even if not too buy, i am always attracted to street markets, for some reason. of course, i found the music stand, with its tables and rows of discs. it was late afternoon and they were starting to pack. 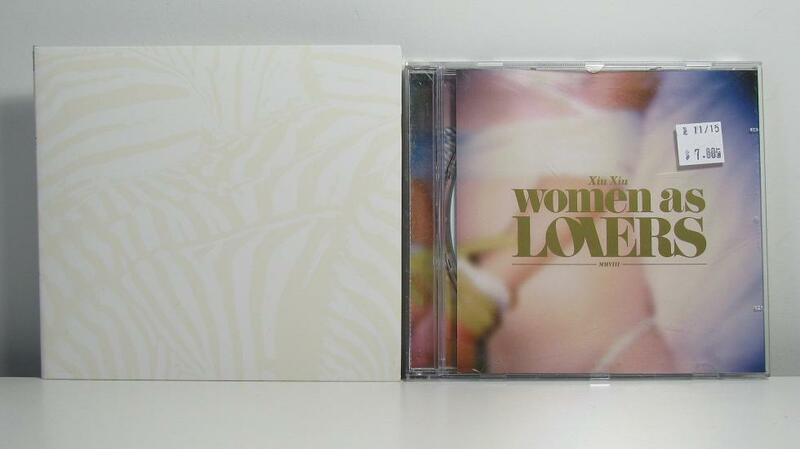 but in the rock section, i did find xiu xiu's "women as lovers" and beach house's "teen dream" for a cheap flat price. finally, i reached st. mark's place, where i had planned to check out mondo kim's. but i found it replaced by a shiny karaoke bar. uh, ok. instead, down the street, there was another shop called sounds. they seem to have a good rock selection. but this was another shop that required browsing time, and i only had five minutes to spend in there.